It is Living Wage week, so activities are happening all over the country. The Living Wage has increased over the weekend as the cost of living has gone up with inflation. 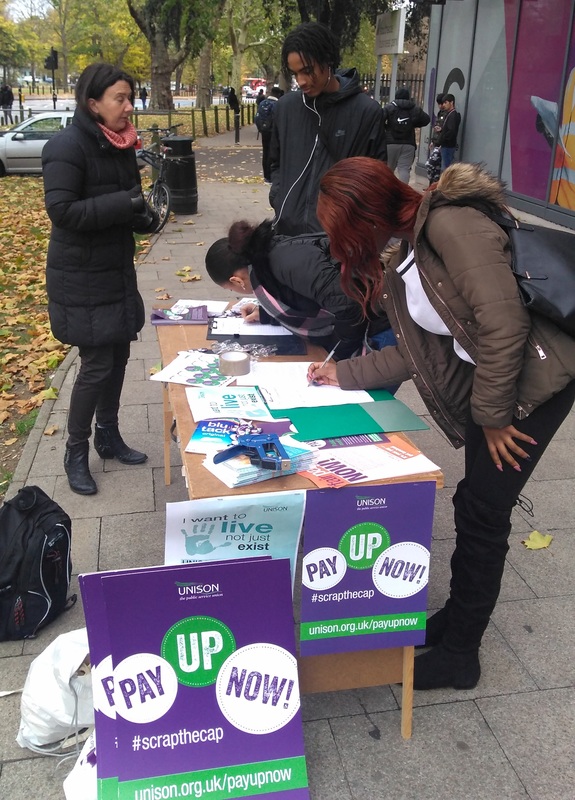 Despite slightly cold and wet conditions, a lot of students and workers signed the petition – three new members of staff at the council took forms to join UNISON. 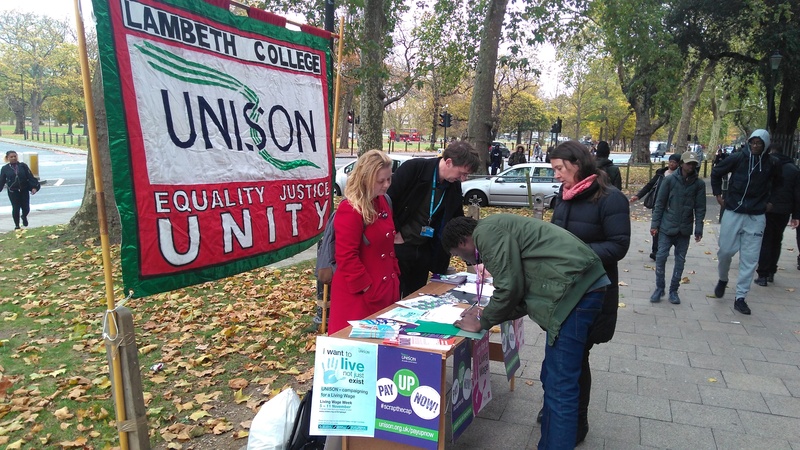 With more redundancies looming at Lambeth College we think joining a union is a very good idea.